Think Agile, an innovative Agile consulting and training company based in Johannesburg, has signed on as the first sponsor of the 2019 Business Analysis Summit. Angie further added that they will be hosting an Agile Business Analysis Coaching Clinic from their sponsor booth. This will provide the space for attendees to bring their Agile challenges and navigate possible solutions together with experienced Agile Coaches. She reiterates that it isn’t a training or consulting session. Instead, they want to encourage delegates to find their own answer, while staying true to Agile values and principles. Think Agile was founded in 2015 and quickly expanded to a diverse team of consultants. They help organizations adopt an Agile way of working through mentoring, training, and coaching. Their training certifications include Certified Scrum Master (CSM), Certified Scrum Product Owner (CSPO), and numerous certifications through Scaled Agile Framework (SAFe). They now offer Agile Business Analysis coaching and mentoring and can also help you prepare for the Agile Analysis Certification (IIBA-AAC). 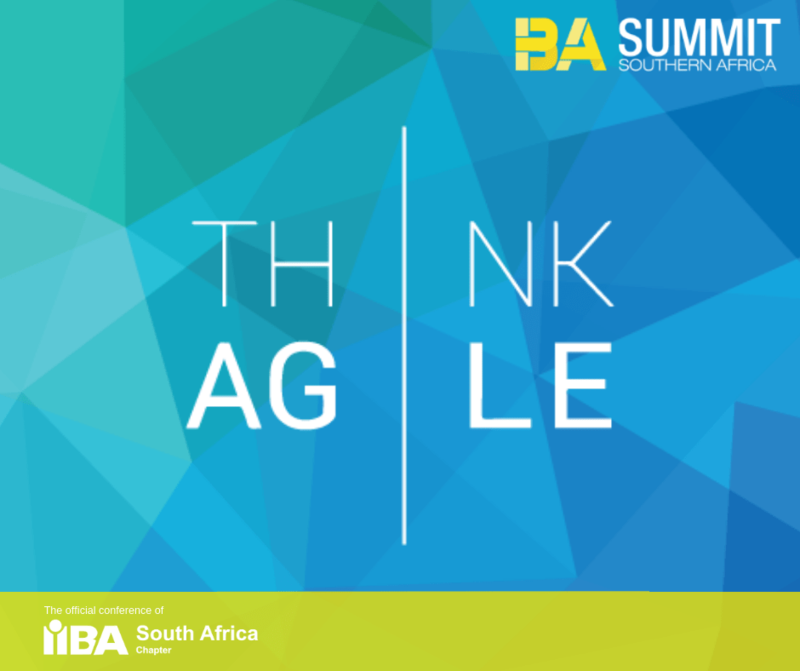 “We are excited to have Think Agile as one of our sponsors of the Business Analysis Summit Southern Africa 2019 edition. As a new kid on the block, we are beyond words in gratitude for their choice to invest in the event. We are humbled by the confidence they have choosing the summit as a suitable vehicle to convey their Agile message” says Edward Ngubane, Treasurer of IIBA-SA. He adds that we are confident that BA community delegates will benefit beyond measure from the Agile expertise which Think Agile will bring to the summit. To connect with Think Agile and for more information about their products and services please visit their website www.thinkagile.co.za or follow them on Twitter, Facebook, Instagram and LinkedIn.